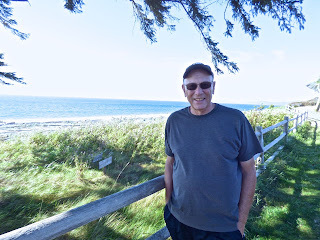 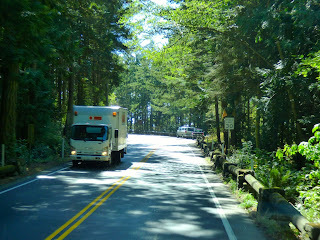 Our drive today from Salem or Whidbey Island took about 6 1/2 hours via I5. Instead of going through Portland,we opted for the 205 bypass putting us back on I5 in Washington. 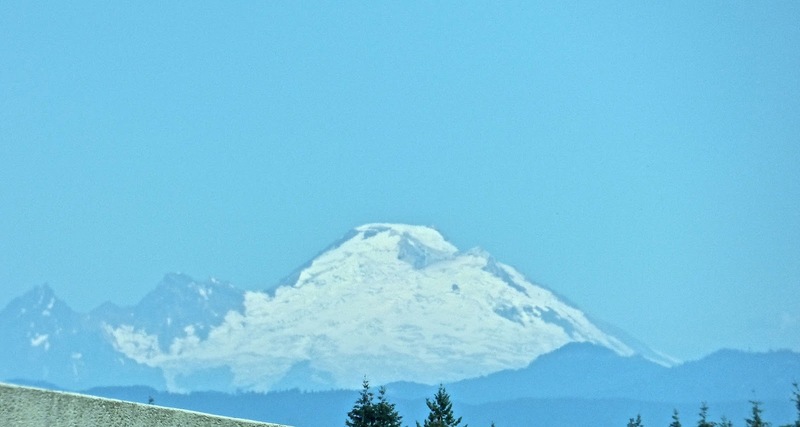 Approaching Seattle we decided to take the 405 bypass to I5 north of Seattle. 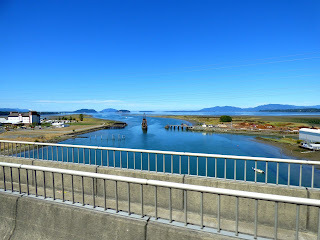 Traffic bad on this also. 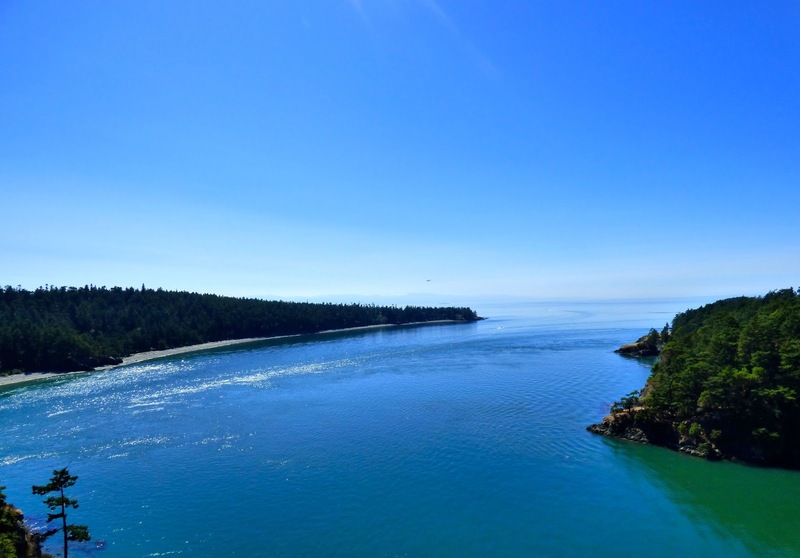 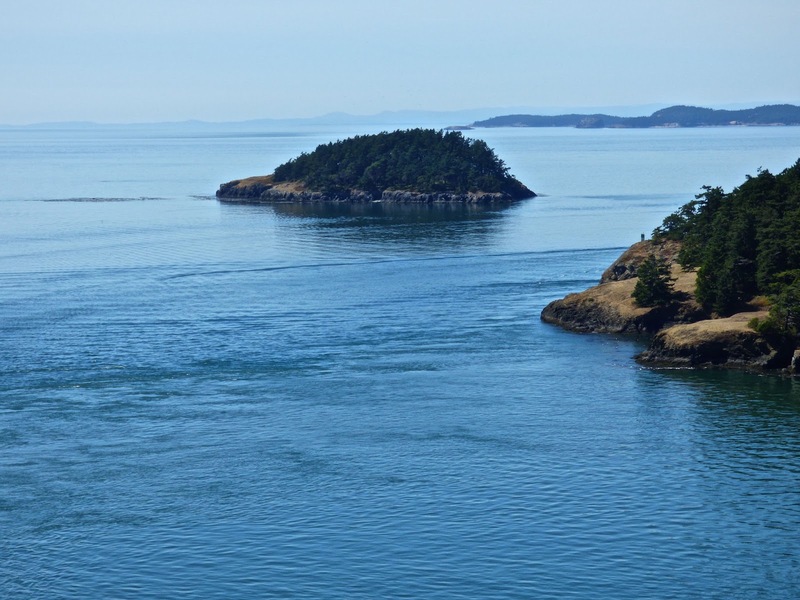 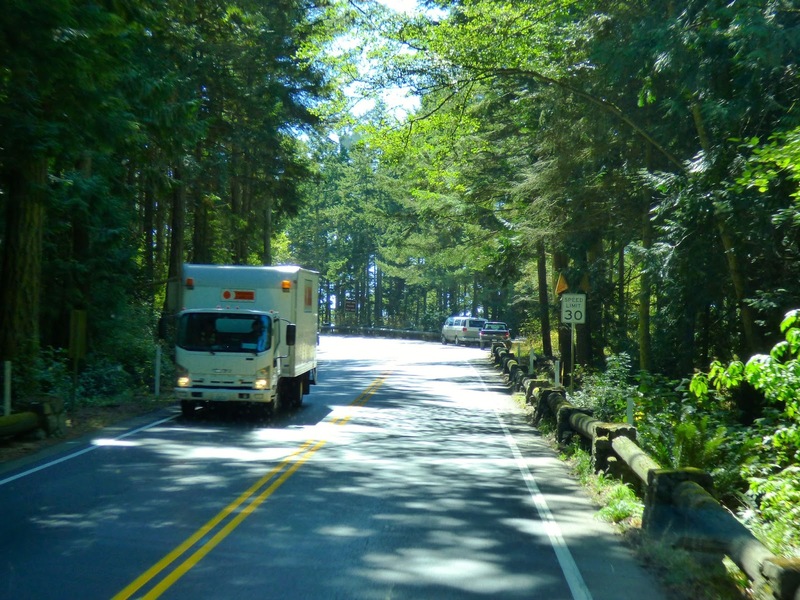 Taking exit 230 at Mt Vernon to WA 20 to Whidbey Island and our home until the 16th September at the NAS Cliffside campground is a pretty drive passing Deception Pass. 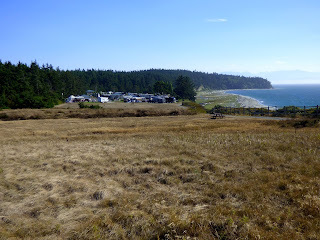 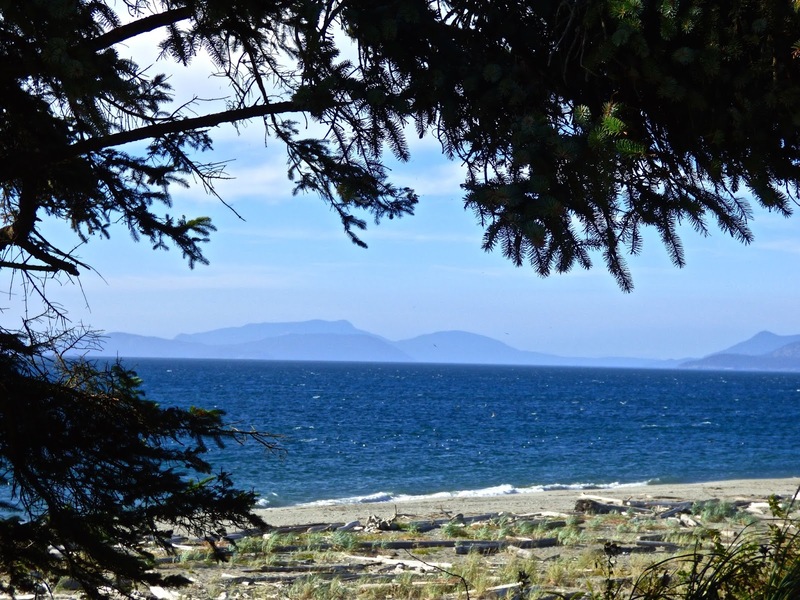 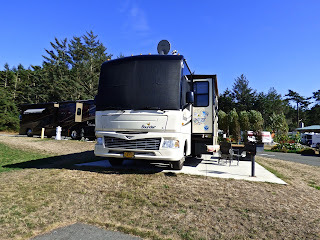 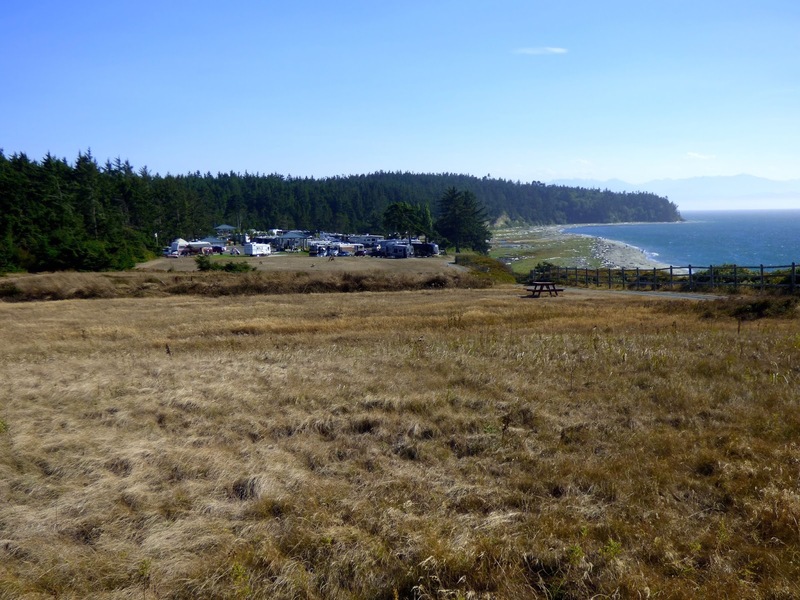 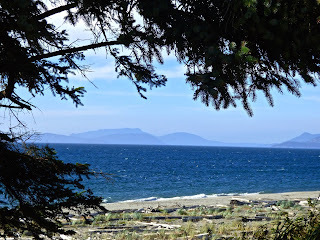 We stayed here last May of 2014 and is one of our favorite campgrounds located on Juan de Fuca Strait with a view of the San Juan Islands. The park is full with retired and active military at a cost of $30/day which is reasonable for the location. 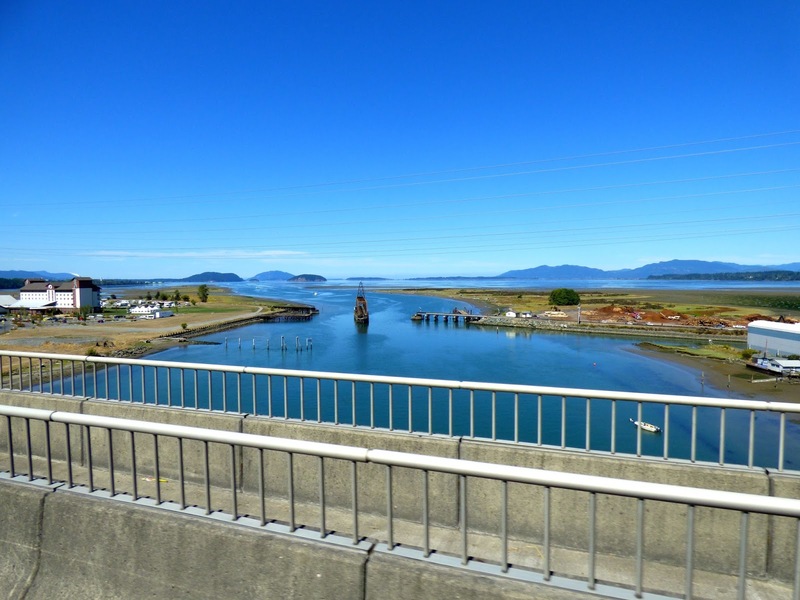 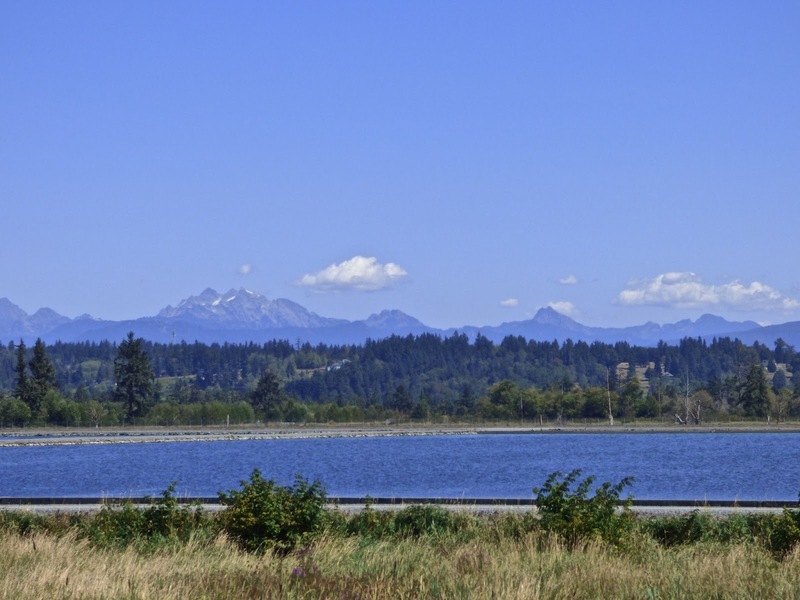 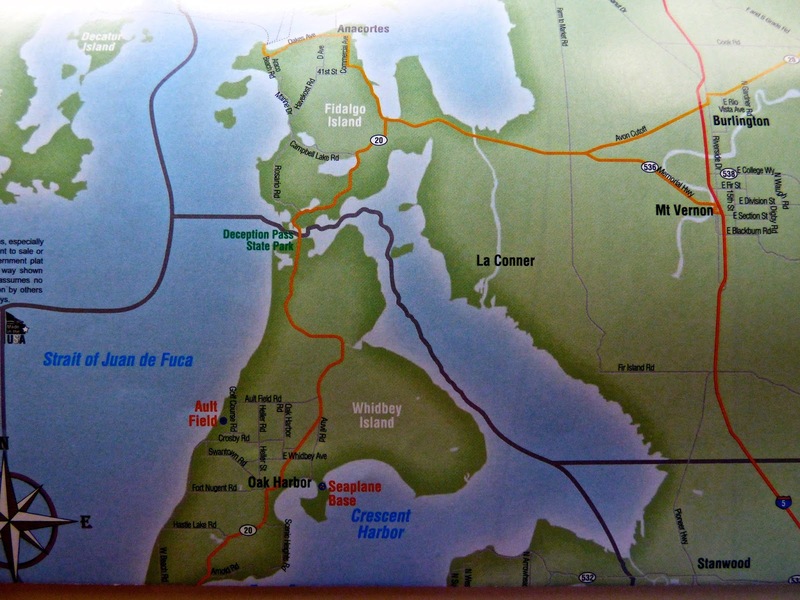 Convenient to Oak Harbor and Anacortes as well as LaConnor. 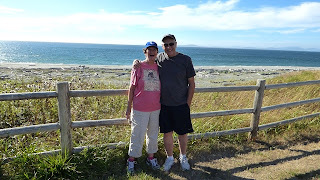 In fact we went to a walkin clinic in Anacortes last night for John to get his stitches out. 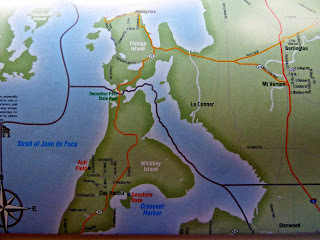 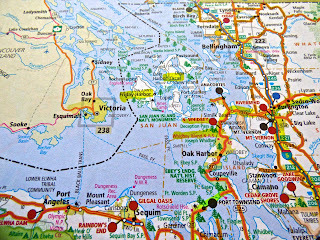 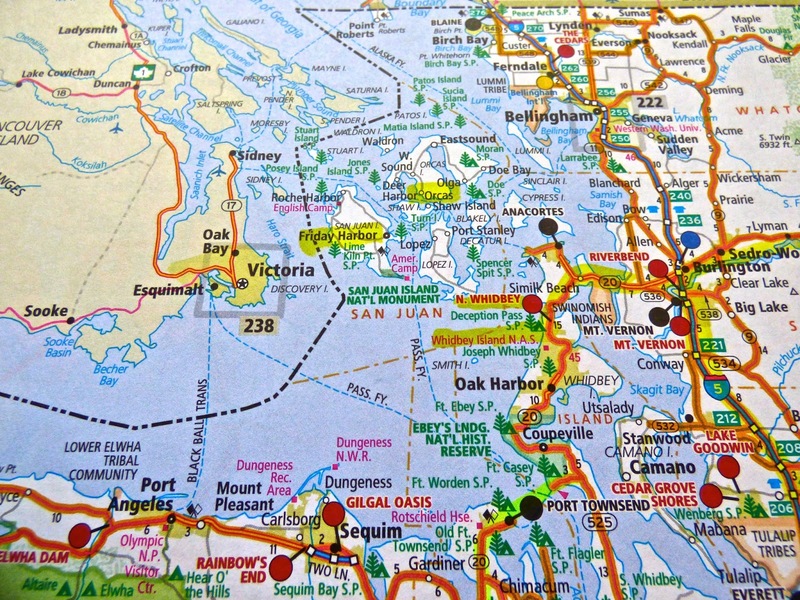 This is also where we will get the ferries to the San Juan Islands. 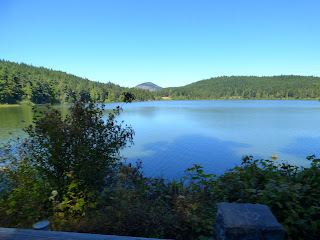 We took a walk last night looking for the resident eagle,but he must be fishing somewhere else. 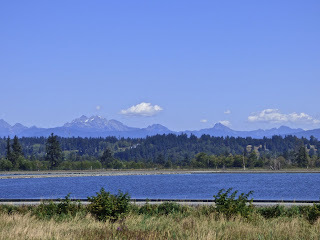 Got some great pictures last year. 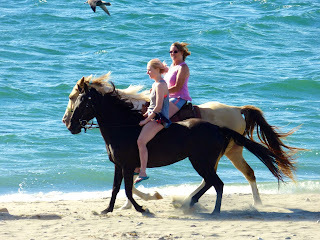 As we were settling in,spotted some whales in the distance also some riders on the beach..looks like fun.This cooler air is such a relief from the 100 degree heat in Oregon. 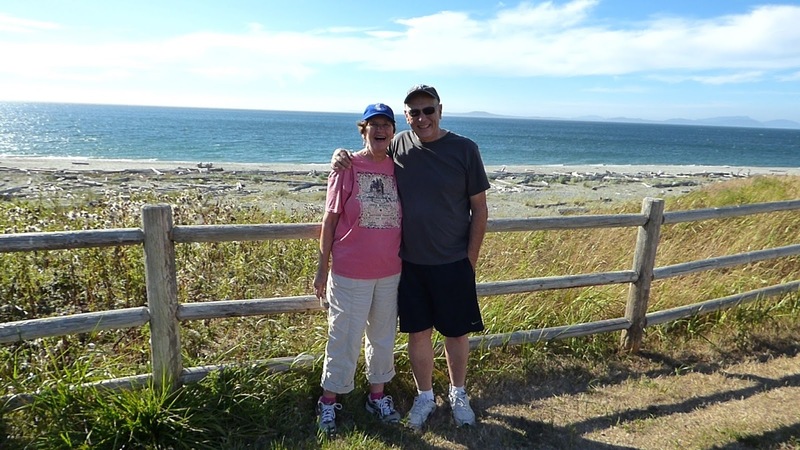 We ran into Mike and Monika, a couple we met last year who were hosts last year.